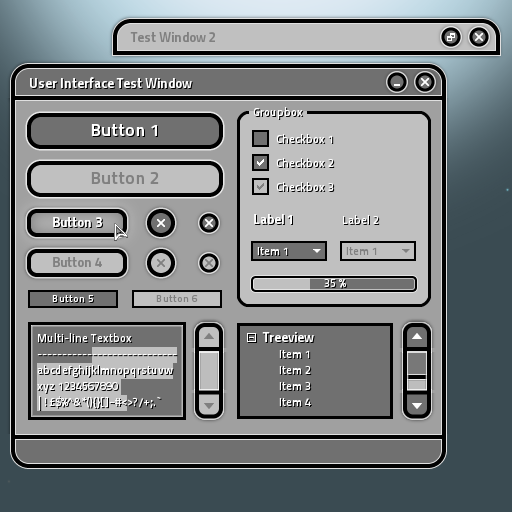 Recently I have been improving the user interface for Galaxial and it has undergone a lot of changes. I was having trouble deciding which colour scheme to use, so I made the user interface customisable so that you can choose the one you like best from the options menu. Below are screenshots of the colour schemes I have made so far. 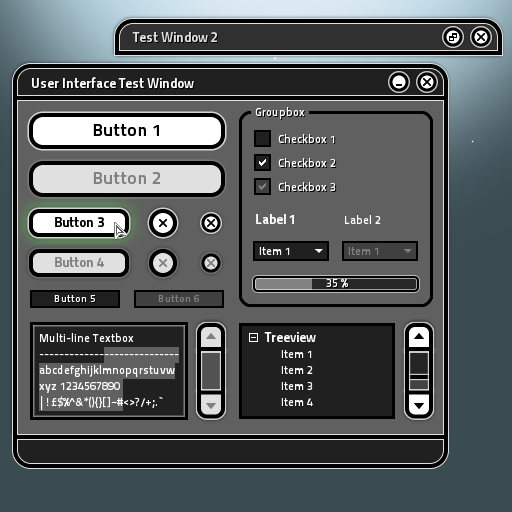 The test window shown is for checking that all the user interface widgets work and to see they look. Also windows are no longer static so they can now be overlapping, moved, minimised and closed. 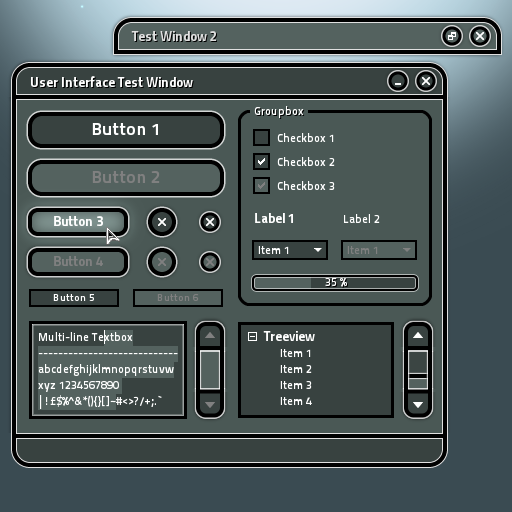 Galaxial is being developed so that its very mod-friendly. Below is an example XML file for one of the colour schemes to give you an idea how much control you can have over the appearance, if you wanted to add your own or modify the existing ones. 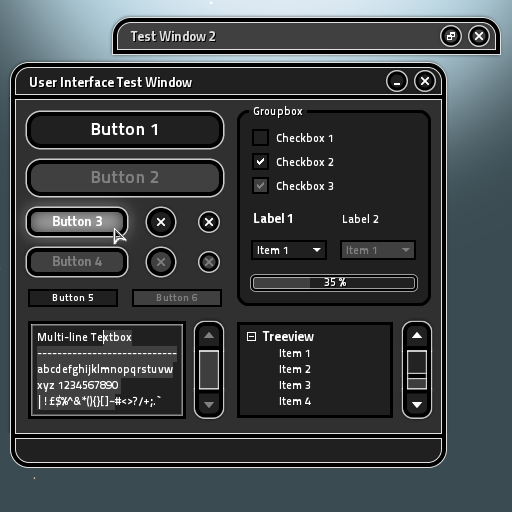 The widget graphics (buttons/windows etc.) are procedurally rendered so unfortunately you wont be able to change the style completely. Just the colours. Thats all for now, as always let me know what you think and have a happy Christmas! Ah, these look very cool. I must admit, I've never heard of Galaxial before and I'm glad I stumbled across your blog.